I came home and was listening to Louis Armstrong’s version of La Vie En Rose when I got home and cleaned. Awwww…..And you were singing along, too! Thanks Tori! Haha, I love that your toddler knows VH1’s countdown. I used to looove watching VH1! I do a lot of body work restoring cars and I couldn’t do it without the tunes. Yes, dancey stuff! I started yesterday with Woolly Bully and went from there! Slower stuff is skipped. I have a playlist I call ”Housework” and it’s all dance tunes, too. You’re followed, Ms. Zoe. You had me at Woolly Bully. You’re so kind! My mom used to sing Woolly Bully around the house so when I grew up, it was immediately downloaded onto the iTunes. Thank you for the follow! 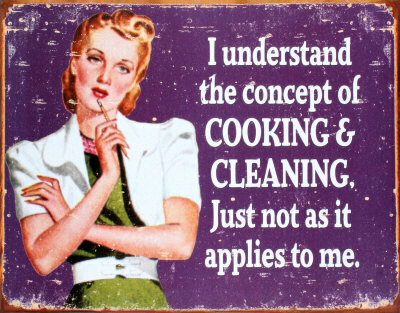 I may have to create a Housework playlist….brilliant idea. I have running music, cleaning music, schlepping around with the kids music. Music does make everything better! Though, when my kids got the Rio soundtrack and played it over and OVER again for four consecutive HOURS, I was ready to reevaluate that particular conclusion. Glad to hear you had such an awesome Labour Day! Wanted to say thanks for stopping by my blog! I really appreciated your comments on both PW and Rachael Ray! (I was always surprised no one ever commented on that post, especially her fans. I’ve had a few hate posts from Rachael Ray fans before). I have my favorite cleaning music too. I stick with the FIOS music channel “Classic Alternative”. In other words, the station for 80’s New Wave-loving dorks. Definitely makes my chores go faster. Rachel, thanks so much for coming by! I had to put your blog on my blogroll, it’s just so well written and I love that you do long, wordy posts. We just signed up for DirecTV and I think I may have to check out some of those music stations on there, in case I ever tire of the same old on my iPod. My “dorky” music is Dolly Parton. It’s interesting to be both a diehard fan of Dolly AND Lady Gaga. I’m the same way! And I prefer play-lists: the cleaning play-list, the napping play-list, the working out play-list. I just came back from a lazy Labor Day vacation in the Poconos, where (while it rained the majority of the time) there was a beautiful breeze coming through the windows and I could comfortably wear hoodies and my favorite boots. But yesterday morning, as we descended the mountain on our journey home, it slowly got warmer and more humid. Blegh. Thank you! I had a lovely long weekend and I’m glad you got away from the PA area before it really started flooding.